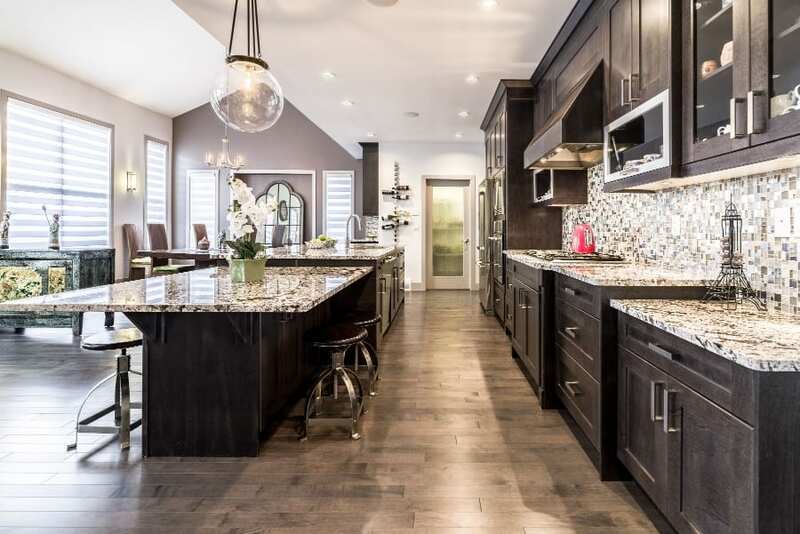 This executive home is a jaw dropper. 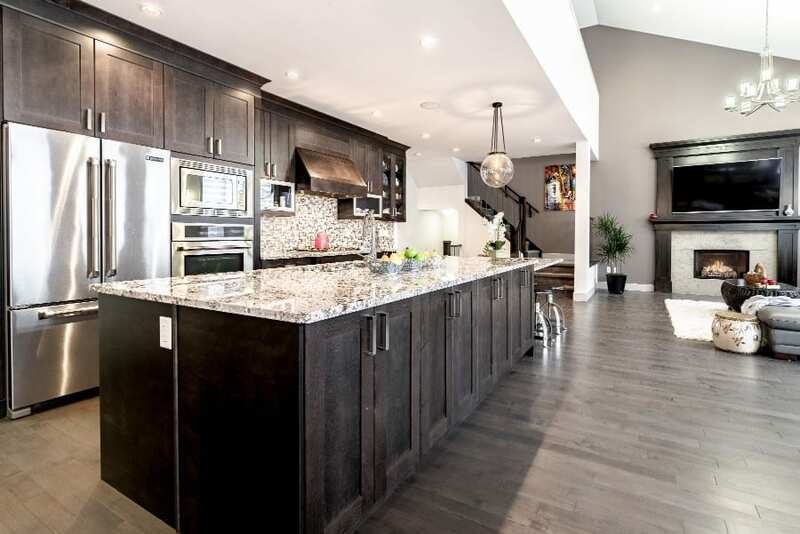 With stunning architecture and high end finished 269 Kinniburgh Blvd is ideal for family living. 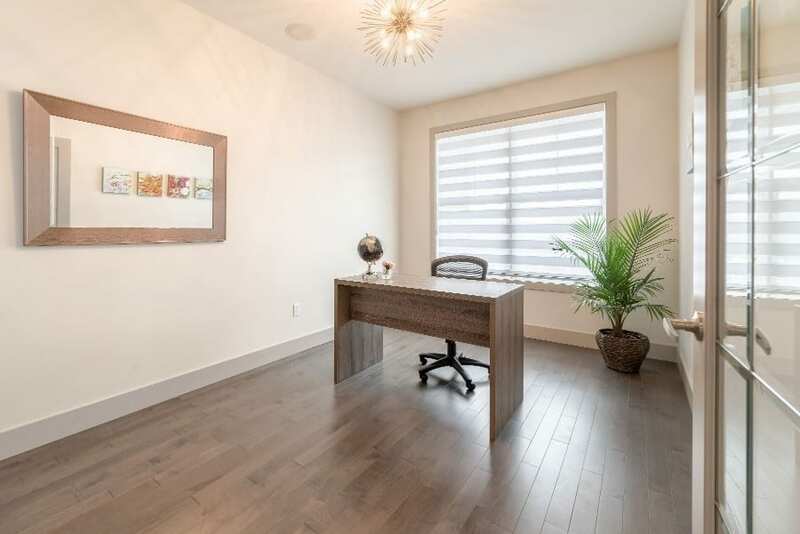 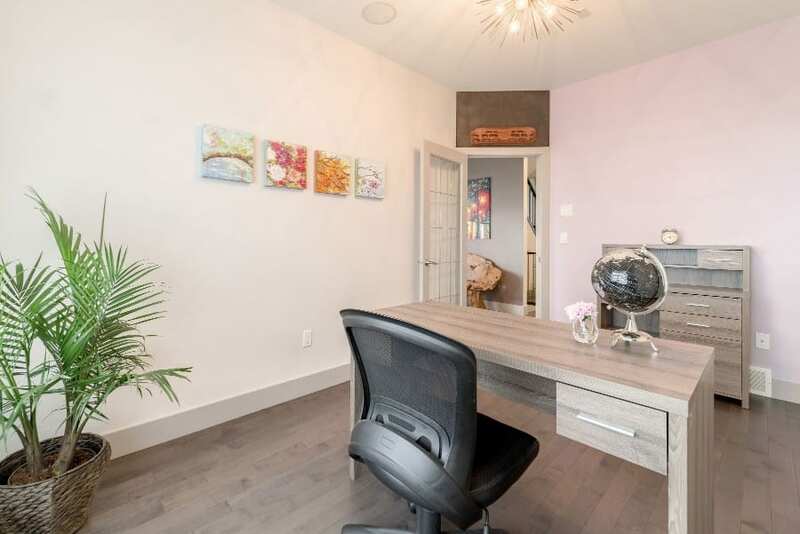 A beautiful bright main floor den is the perfect home office or study. 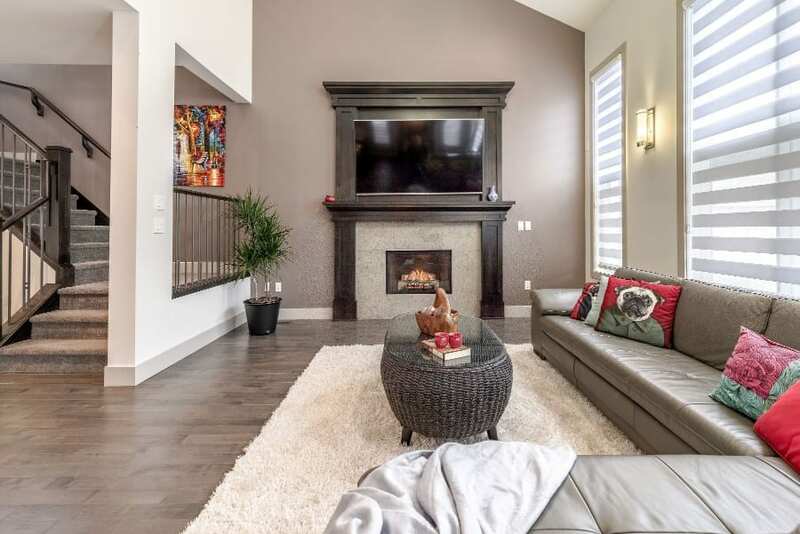 The main living area has huge windows inviting in that natural light and a beautiful fireplace. 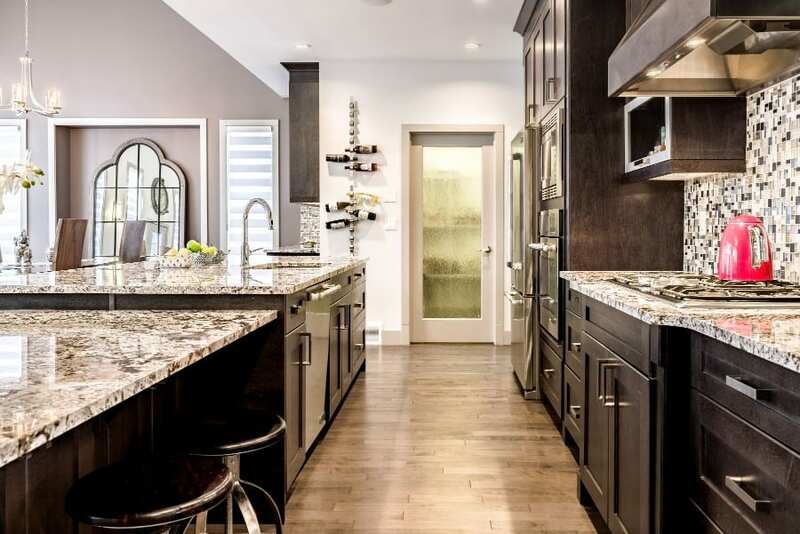 This kitchen will make any passionate foodie’s heart stop. 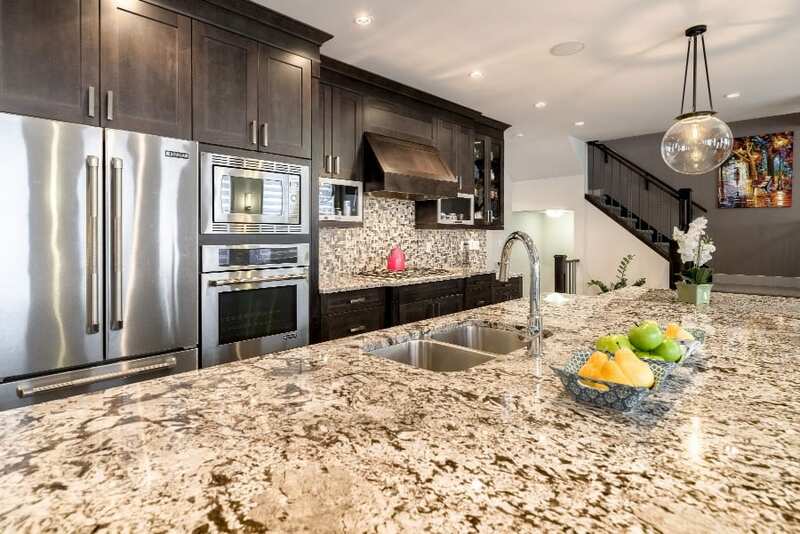 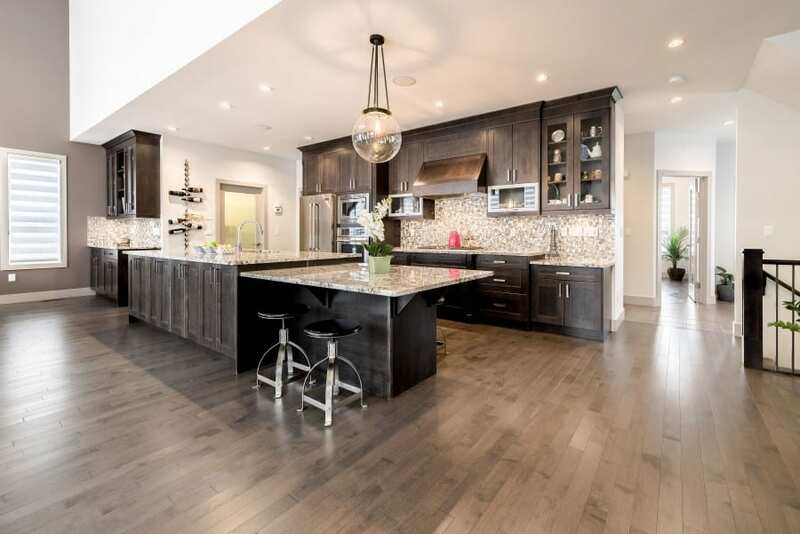 Tons of storage, top of the line appliances, a massive island with a double sided sit up bar at one end and a full cooking/storage/sink area on the other. 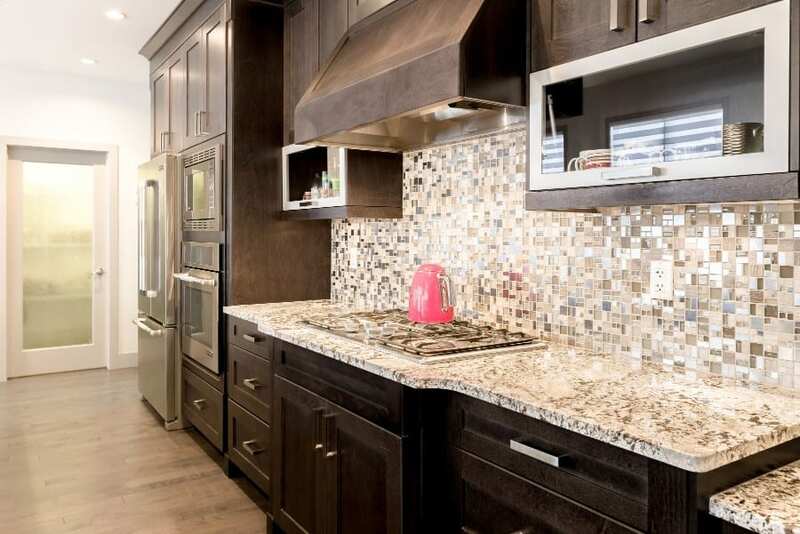 The large pantry makes food storage easy. 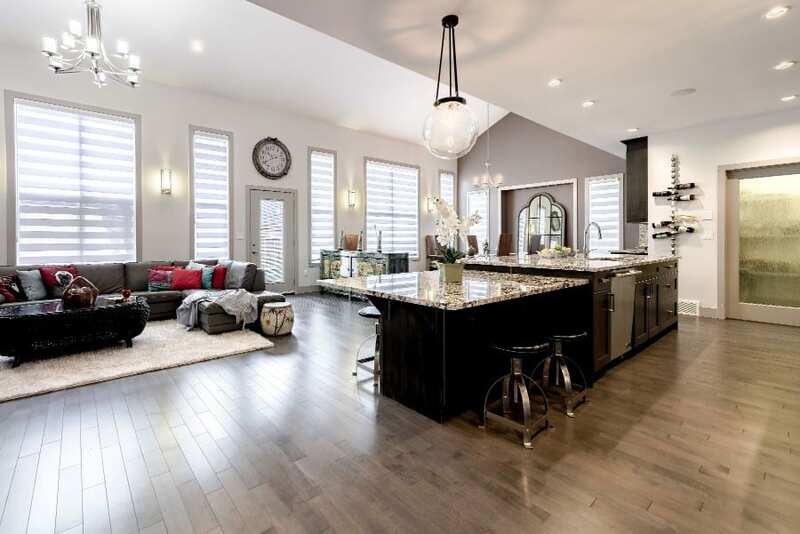 A full coffee / bar nook is another feature that makes this home a jaw dropper. 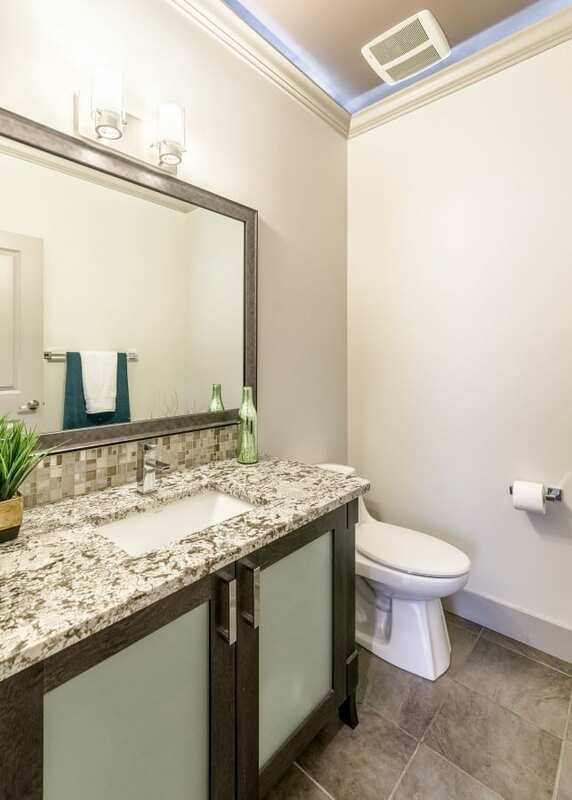 The main floor laundry room has beautiful cabinetry with a sink and storage space. 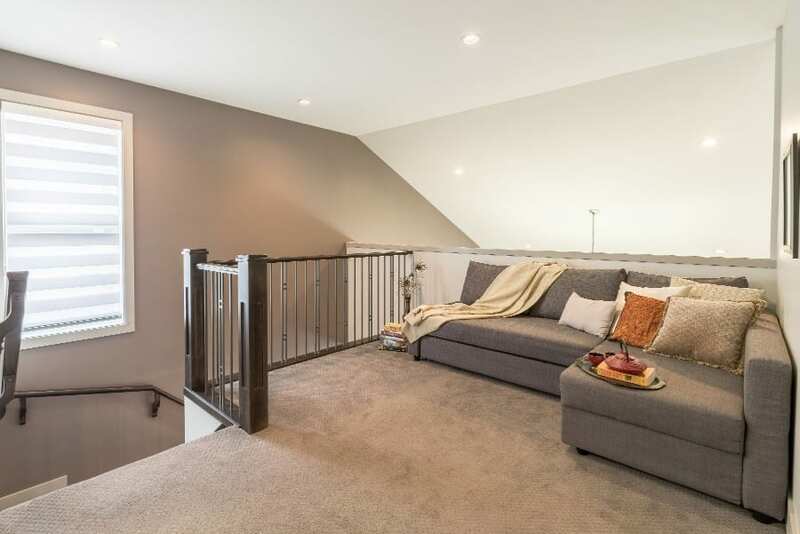 Upstairs, you’re greeted by a loft with enough room to fit a large sectional – the perfect place for reading and relaxing. 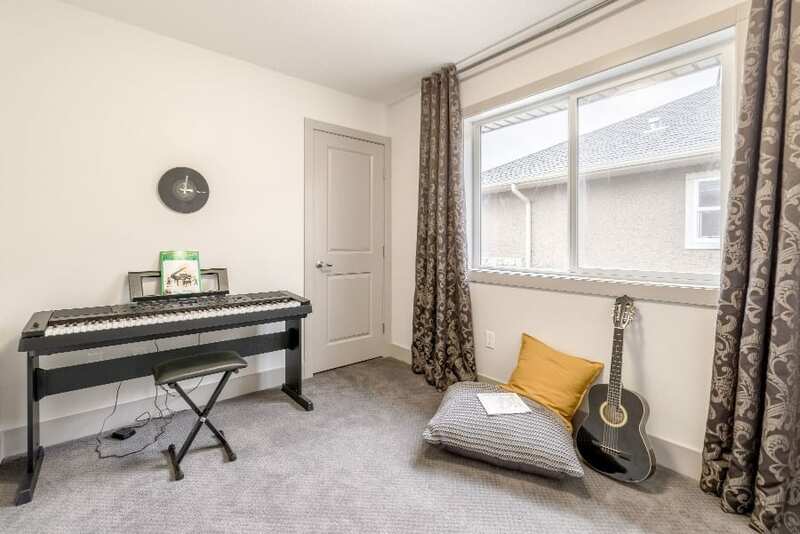 The spacious hallway leads into the 4 bedrooms any of which can easily be used as a home office, music room, play room, etc. 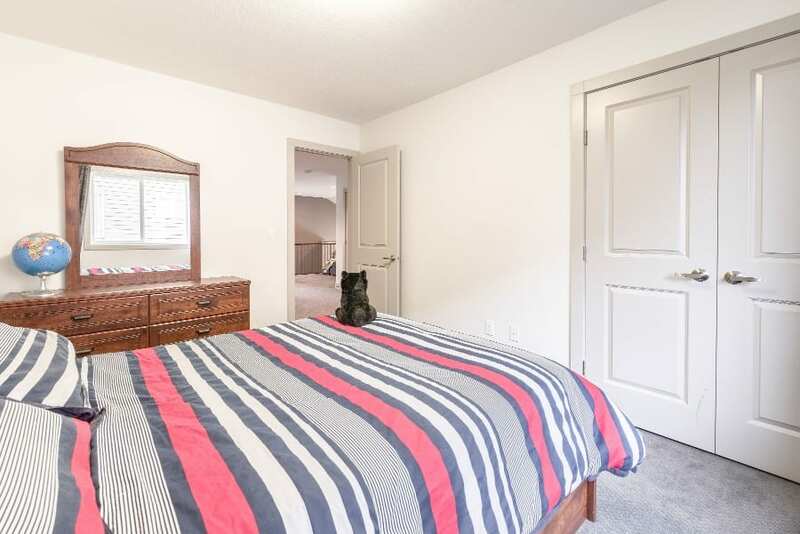 The bedrooms are all very large with like-new carpeting and have good sized closets. 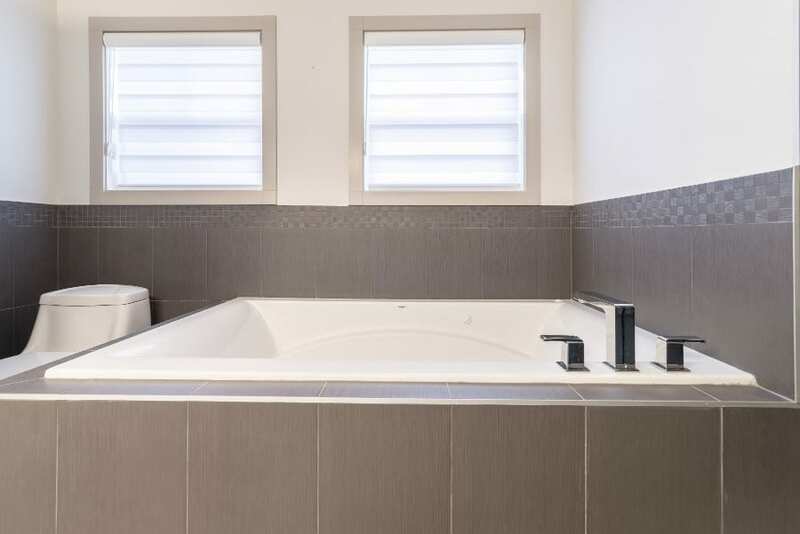 The main bath is refined and beautiful. 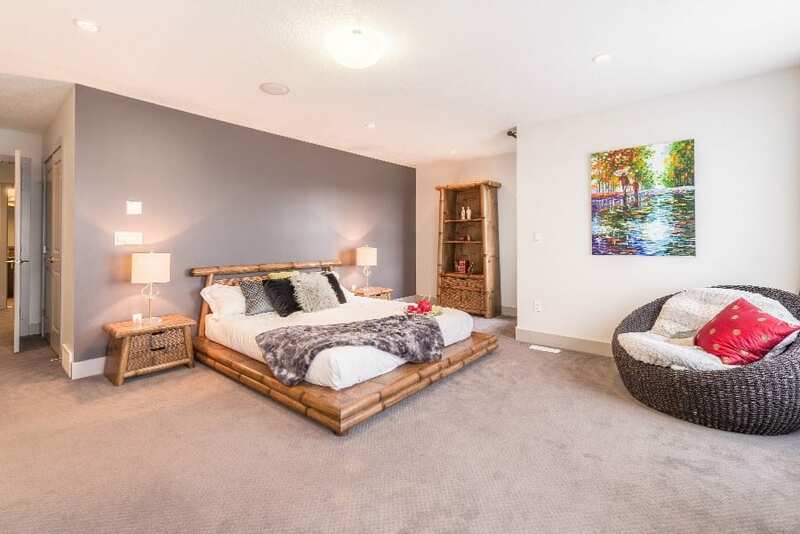 Master bedroom is larger than life with more than enough room for a king bed, transform this space into your own private retreat. 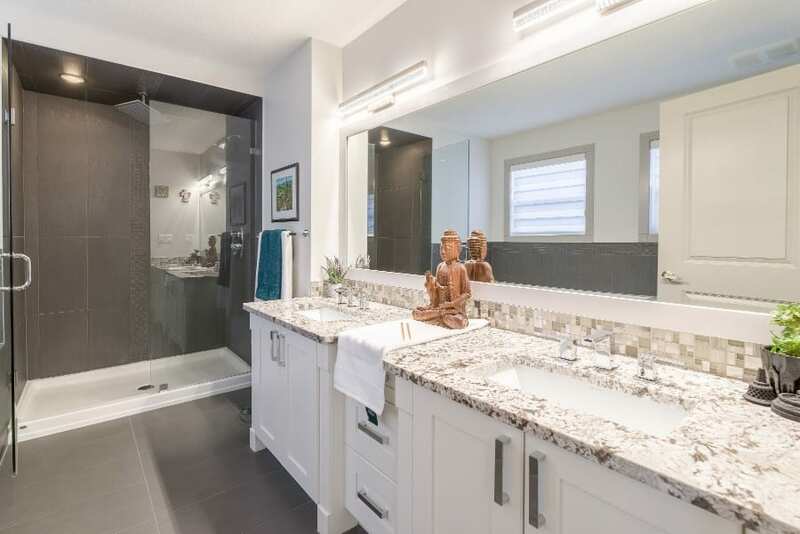 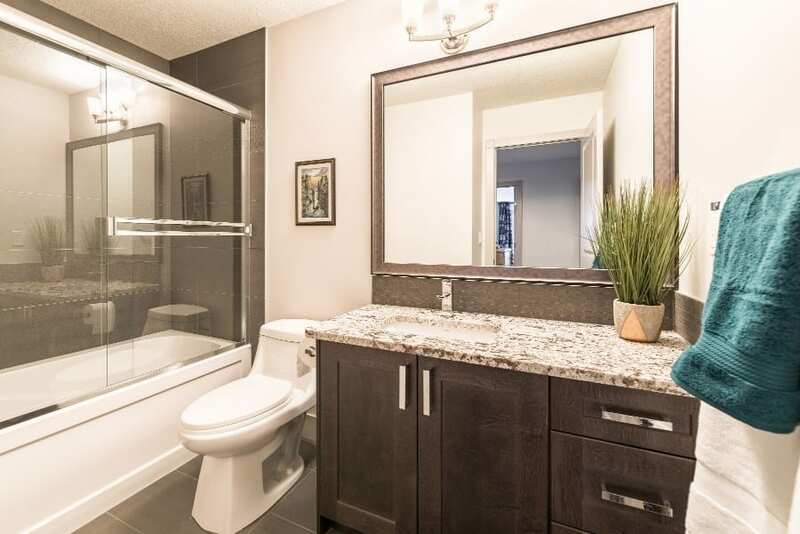 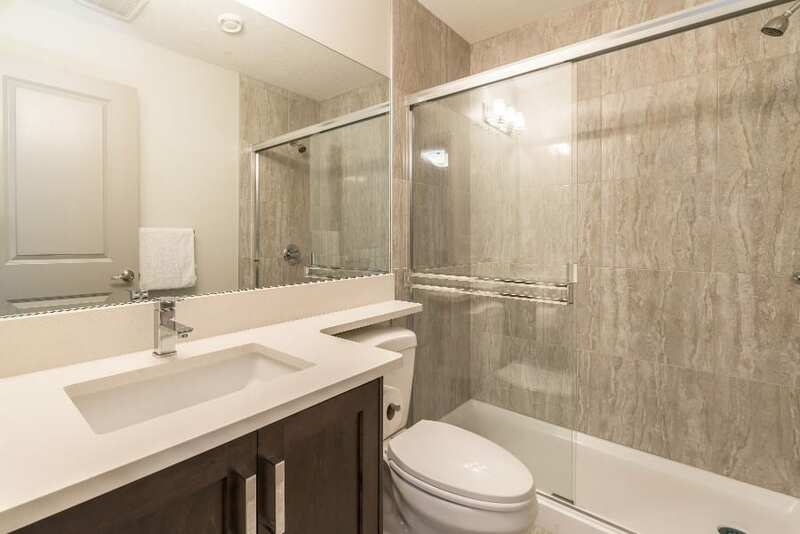 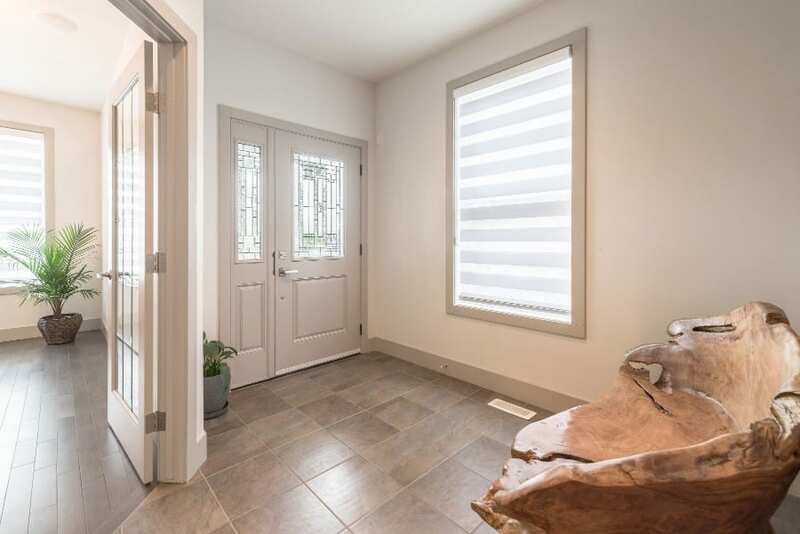 The master ensuite is a dream come true with beautiful cabinets, a full wall mirror, great lighting, lots of storage space, a waterfall shower (glass enclosed), and a soaker tub. 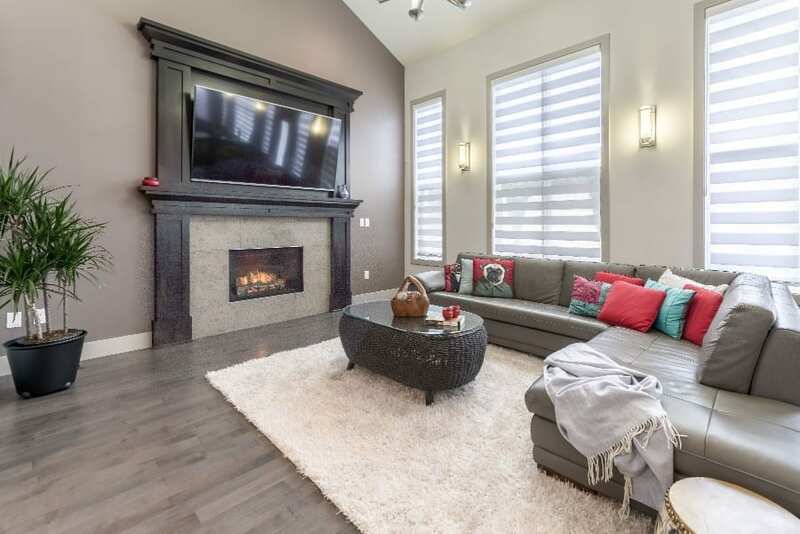 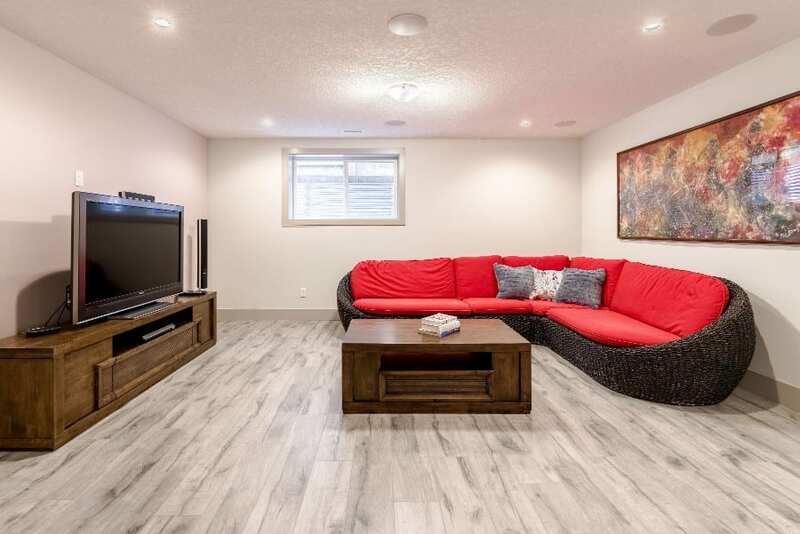 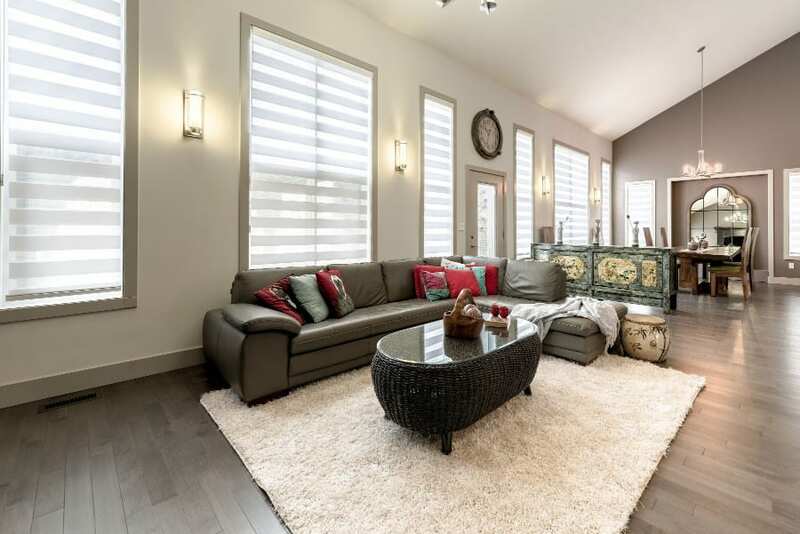 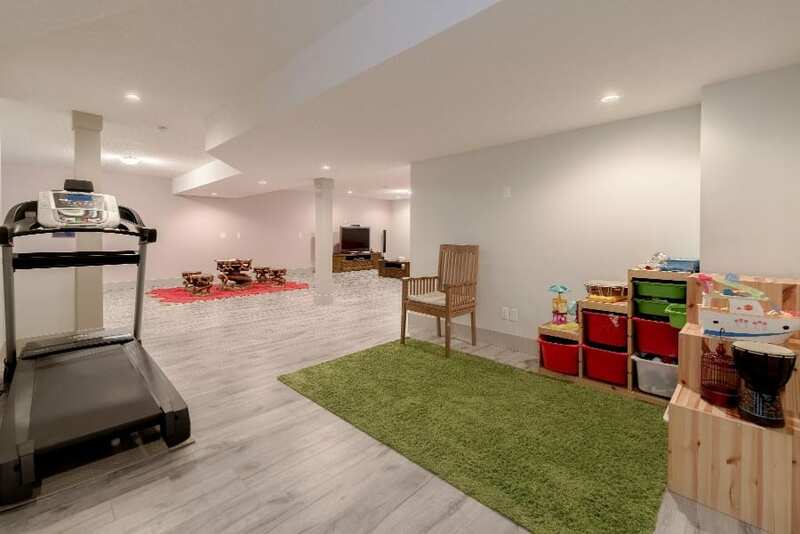 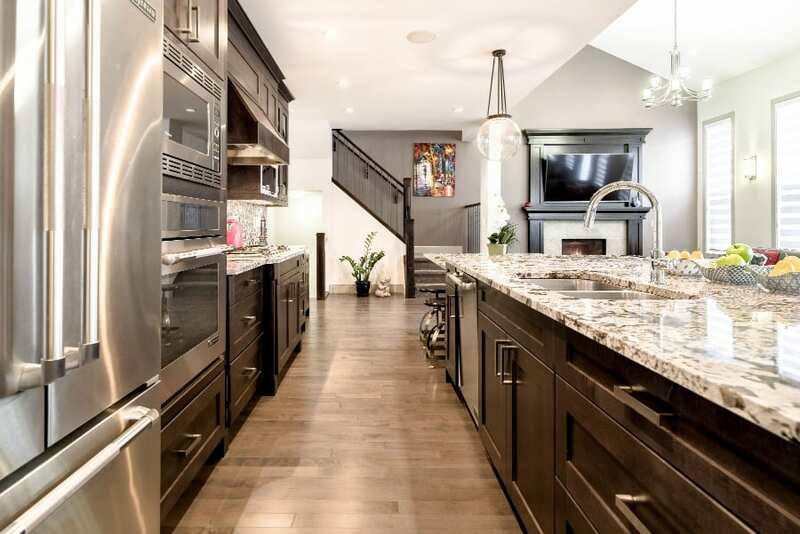 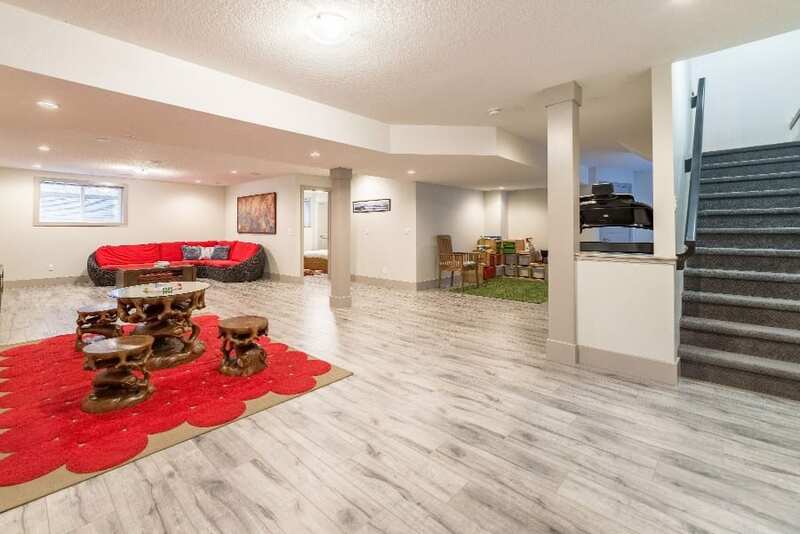 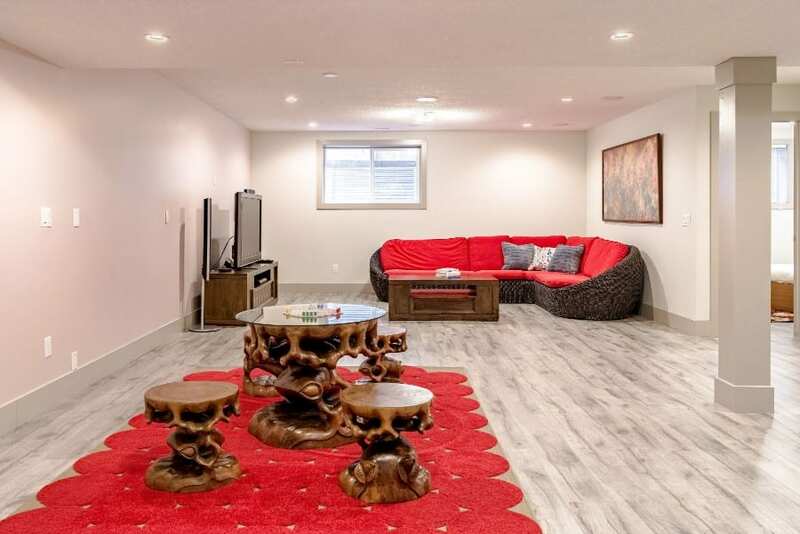 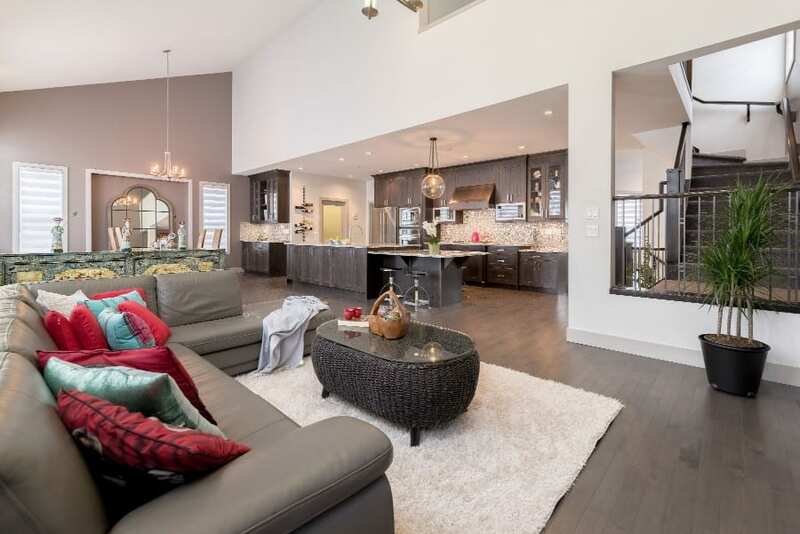 A very large and sprawling open concept basement is a great space to transform into whatever your needs might be. 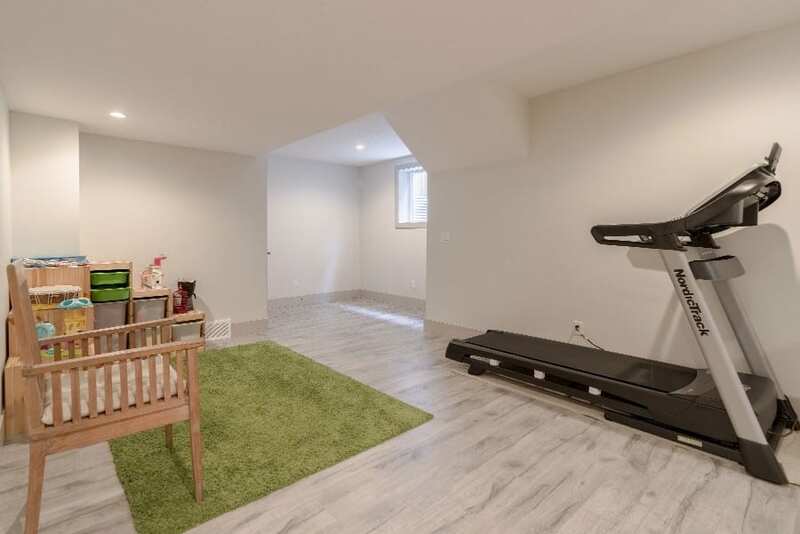 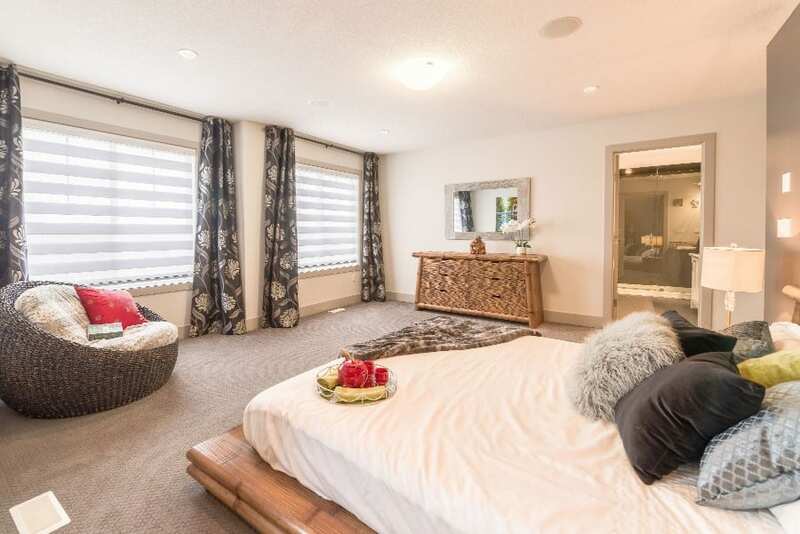 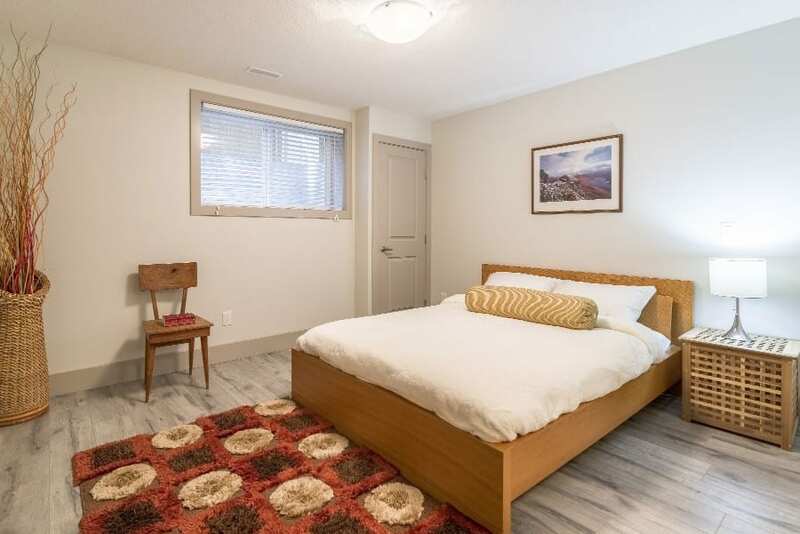 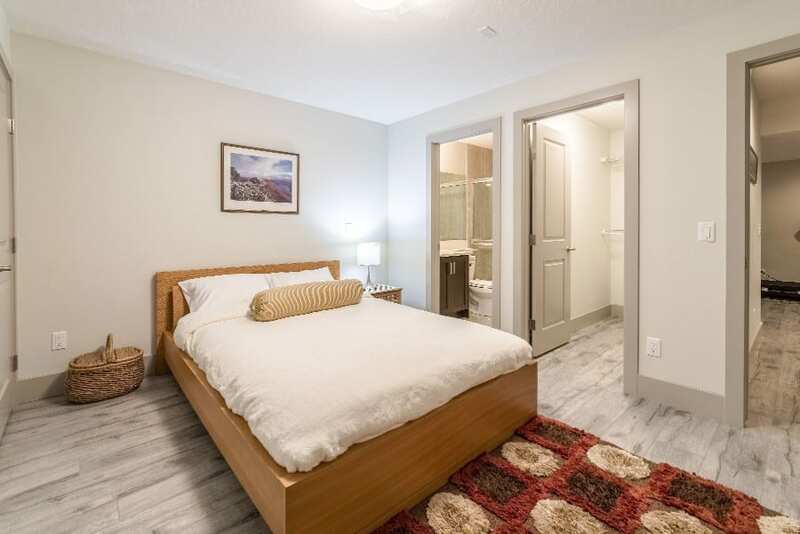 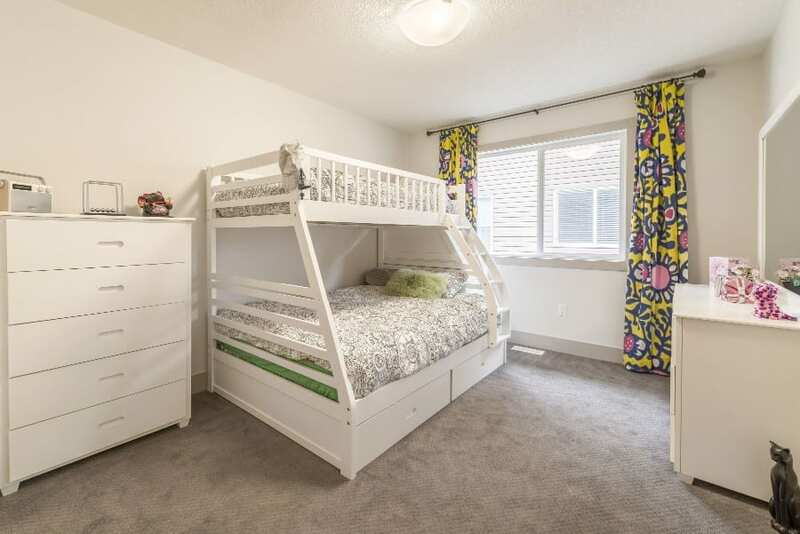 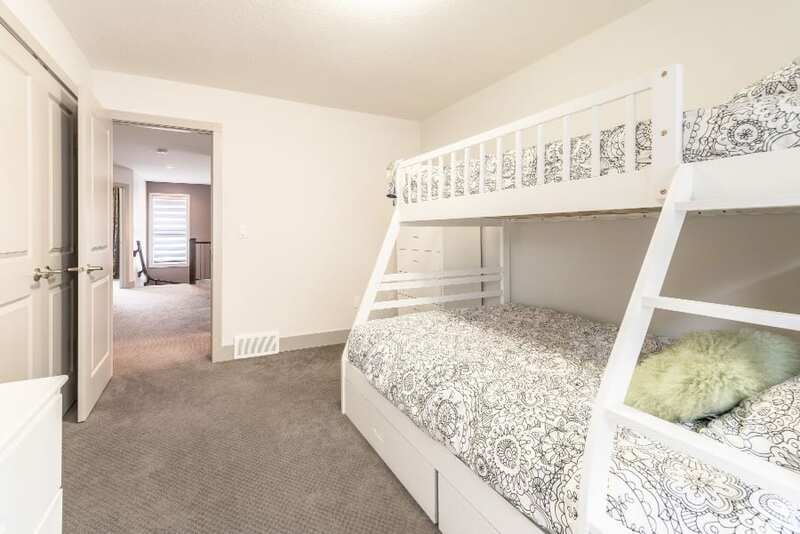 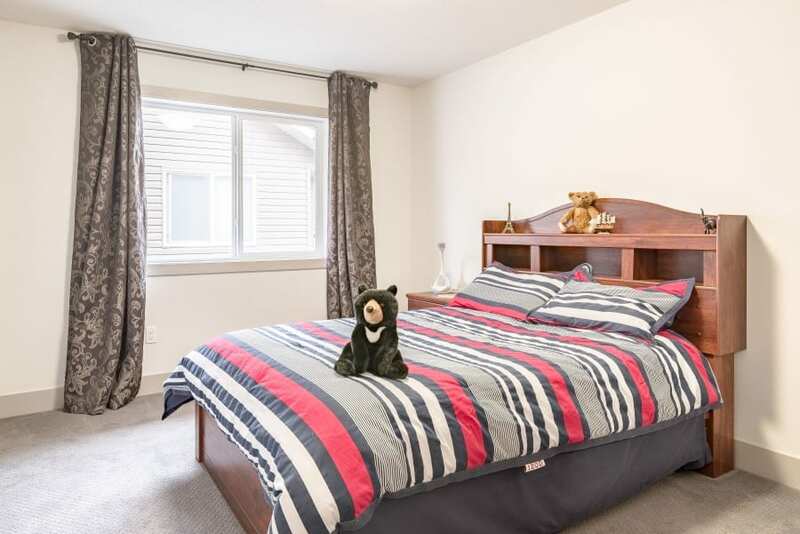 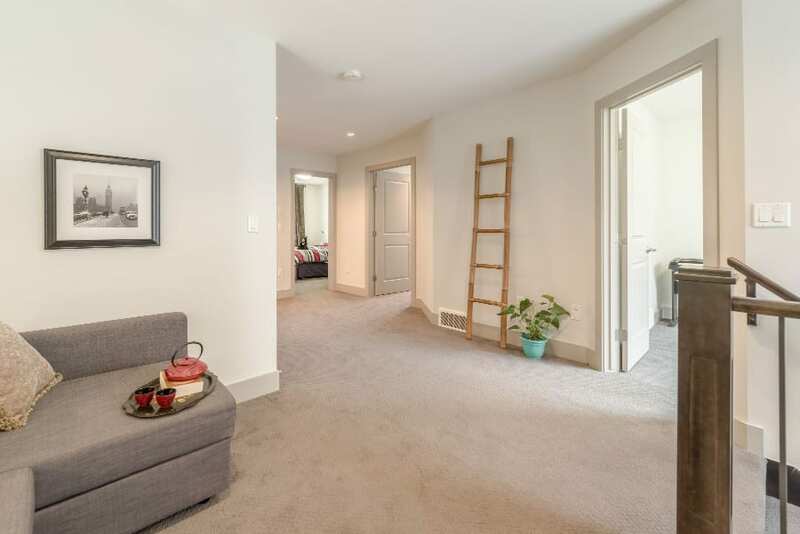 The basement bedroom is completely with like-new pristine flooring, a walk-in closet, and an ensuite bathroom. 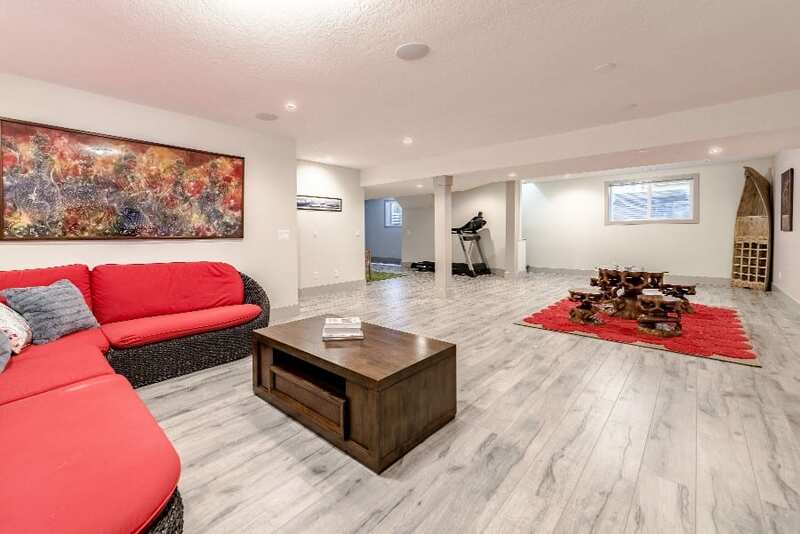 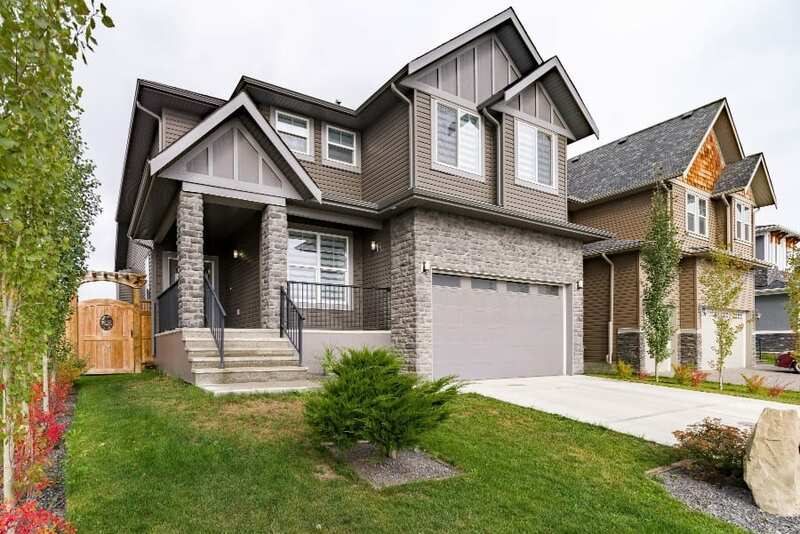 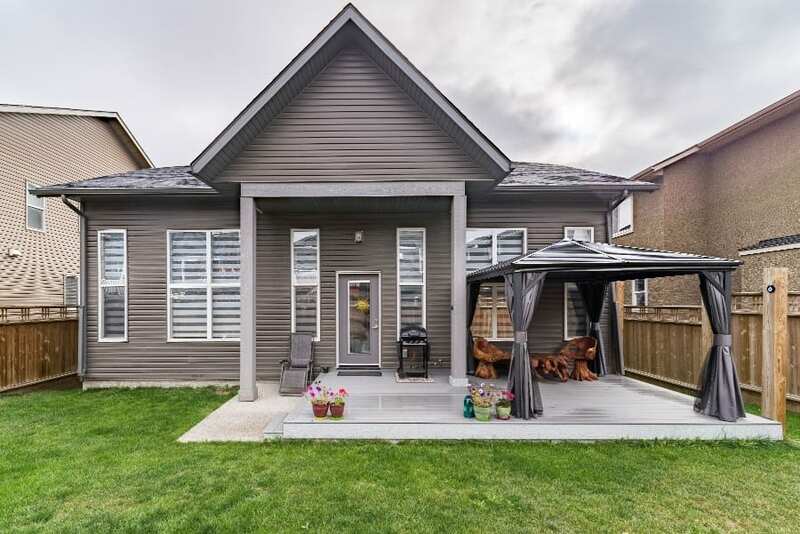 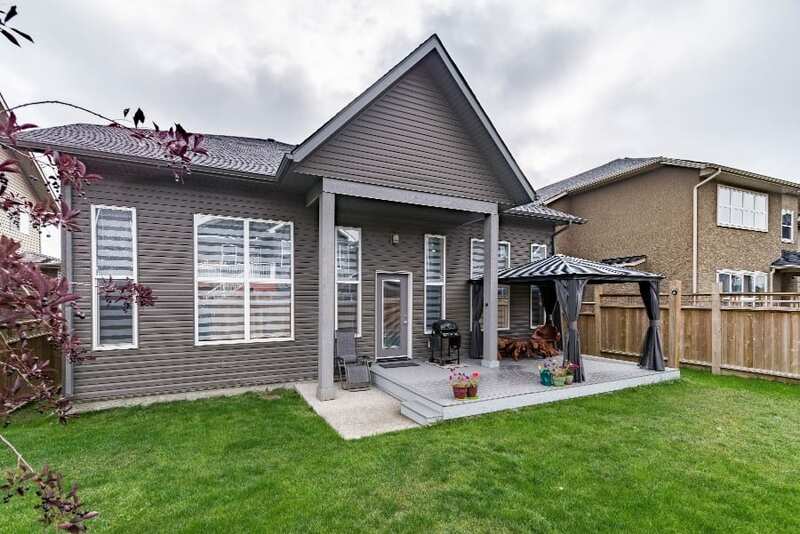 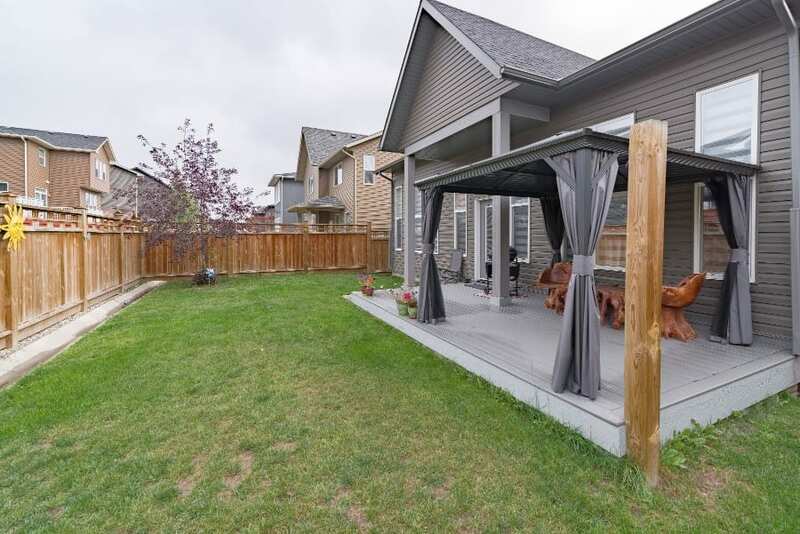 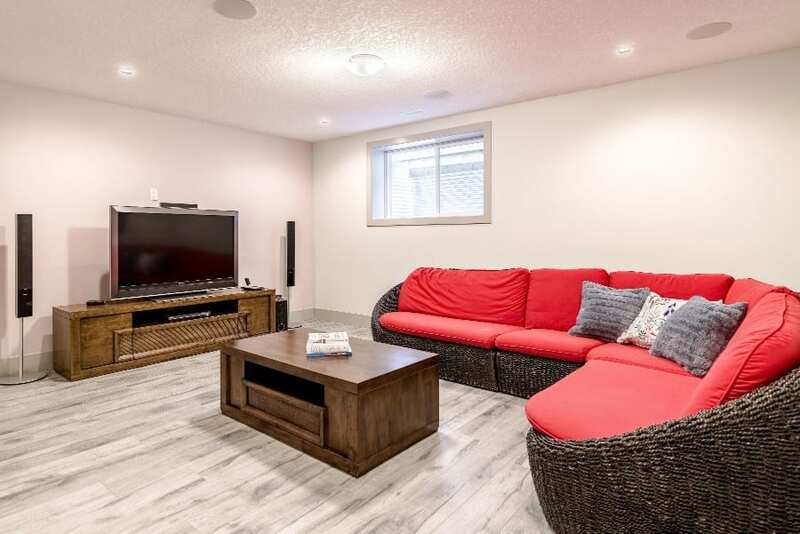 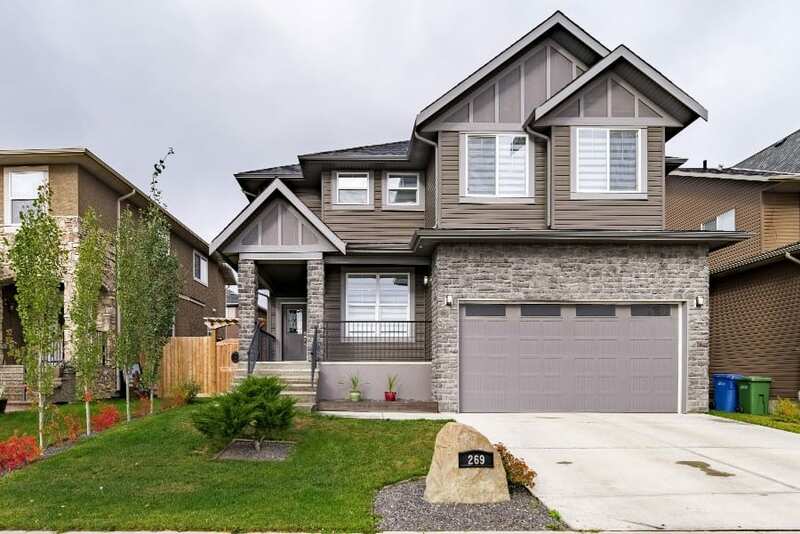 Speakers throughout the home, gorgeous and unique hardwood flooring, a backyard patio / deck, fenced backyard, beautifully landscaped front and back yards, spacious garage, you don’t want to miss this incredible home.